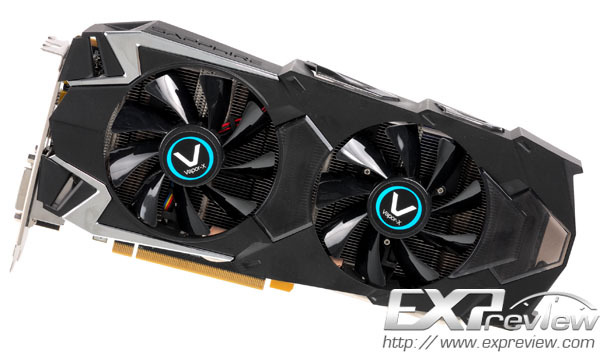 Even though Nvidia’s GTX 680 killed all the glory the AMD HD 7970 had, it hadn’t stopped on the other hand, from vendors from further customizing the card. 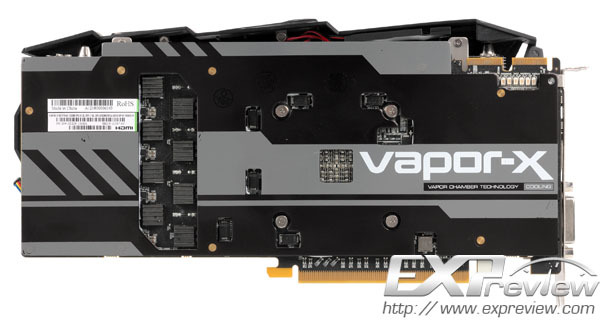 Sapphire apparently came up with its Vapor X series of the graphics card, the Sapphire HD 7970 Vapor X edition. The card instead of the reference 3 GB memory packs 6 GB of it across a 384 bit interface with the frequency set at 1100/1500 MHz core and memory respectively. The overall design of the card is the thing I found myself the most striking. It looks similar to PowerColor’s iGame GTX 560 Ti graphics card but the styling on this is just breath taking for any hardware enthusiast. 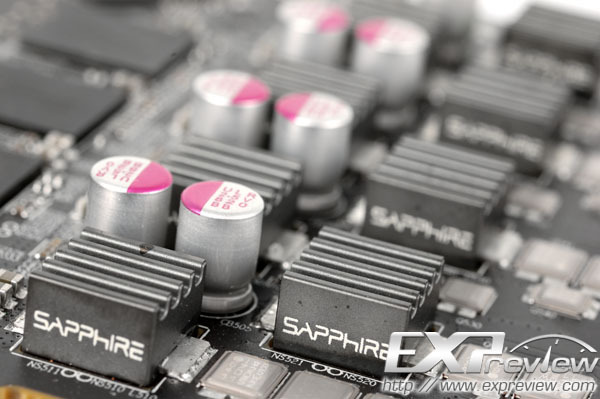 The card is powered by two 8 pin connectors and also features a dual bios button on the graphics card that is themed with Sapphire’s logo itself. More of surprising is that expreview had gotten hold of this particular card even before it got released yet! In terms of accessories, the card comes with a mini DisplayPort switch to standard DisplayPort adapter, a mini the DisplayPort to DVI adapter cable, DVI to VGA adapter, HDMI cable, 4pin D-type port switch to 6pin power adapter cable, CrossFire bridge, and last but not least, a driver disc. 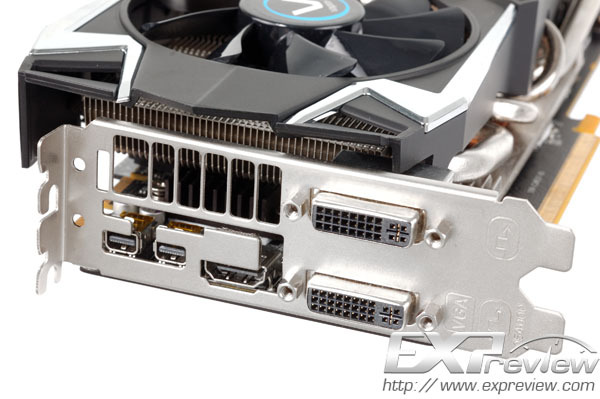 The good thing about this particular graphics card is that almost all the major components such as the DirectFETs and MOSFETS had been covered with thermal heatsinks for maximum heat dispersion as well as prolonging the graphic’s card’s life. Using Sapphire’s TriXX software, the reviewer bumped the BIOS core voltage up to 1.3V with the core frequency set to 1250MHz and hence achieved a score of P9755 on 3D Mark 11. On stock voltages though, the card managed to achieve P9084. 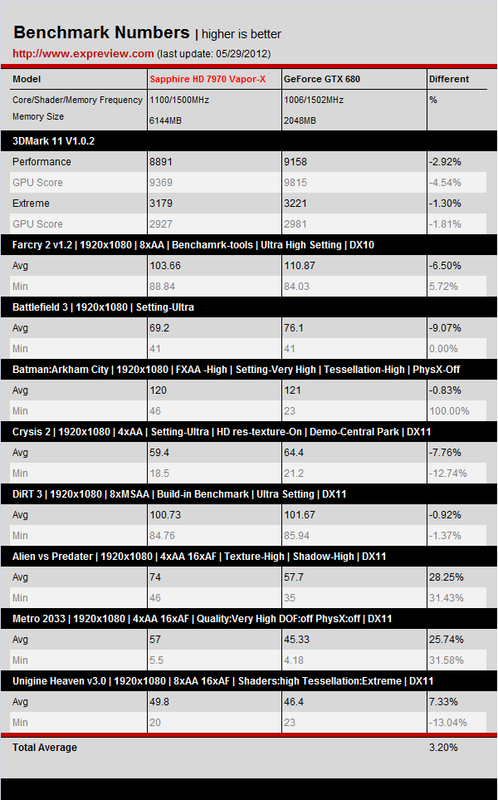 Switch to the overclocking BIOS and GPU core voltage raised to 1.3V, the core frequency can continue to rise, but when the frequency reaches 1200MHz near mild Huaping the phenomenon occurs, and ultimately this card can use the 1250/1800MHz the frequency through 3DMark 11 test, the final score for the P9755. For more details on the in depth review of the card, refer to the source below.